American medical and dental schools are extremely interested in students who have a strong liberal arts background – precisely the education Ohio Wesleyan provides. The Pre-Medicine/Pre-Dentistry major gives you the broad background necessary to prepare you for many health professions. The courses required are those most frequently required for admission to colleges of medicine and dentistry. You should consult the pre-medical/dental advisor early in your college career for the admissions requirements of specific medical or dental schools. 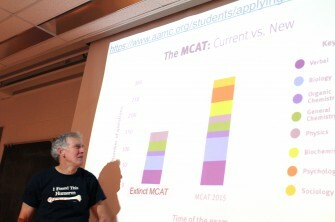 If you major in Pre-Medicine/Pre-Dentistry, we highly recommend that you combine it with a second major, such as zoology, chemistry, botany-microbiology, psychology, neuroscience, or other areas, because it alone does not provide enough depth of background in any single area if you do not enter one of the professional schools. Download this helpful list of the OWU courses you will be required to take in order to apply for admission to medical/dental school. 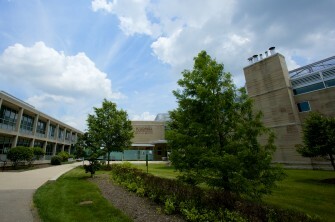 Nationwide and at OWU, fewer than half of medical students start their medical training the August after they graduate. The reason: To start professional school directly after graduating, you must take either the Medical College Admission Test or the Dental Admission Test by late spring of your junior year, and also apply that June. Completing all the necessary coursework by then and as well as studying enough to excel on the admission test requires careful scheduling and extreme self-discipline. It can also leave you unable to fully engage in other activities on campus, including doing service work and gaining clinical experiences that the professional schools either desire or require. 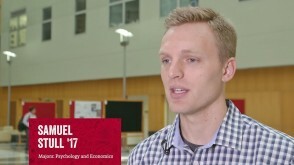 Undergraduate research with faculty mentors is a key element of The OWU Connection. Research opportunities are available to any Pre-medicine/pre-dentistry student. 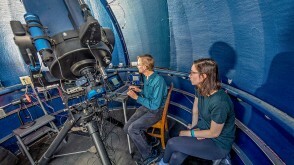 We encourage you to apply for the Summer Science Research Program, a 10-week intensive research program where students work closely with faculty and present their results at an all-campus Patricia Belt Conrades Summer Science Research Symposium in the fall. 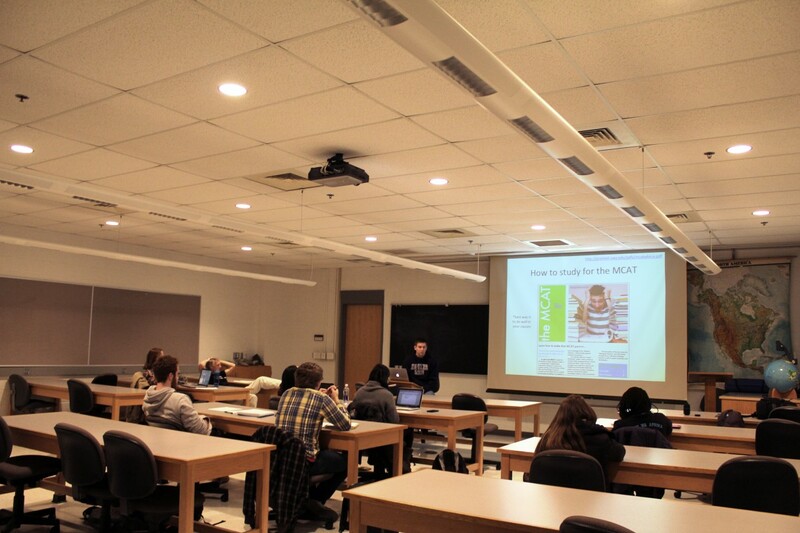 Students also gain research experience in internships and off-campus opportunities. 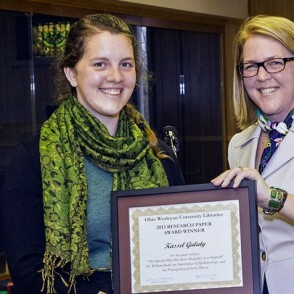 Pre-Medicine and History double major Kassel Galaty ’13 was awarded a top prize for her research paper titled “The Infected Man Has Been Altogether Lost Sight Of.” She also was appointed Junior Fellow for the Library of Congress to participate in the summer internship program. 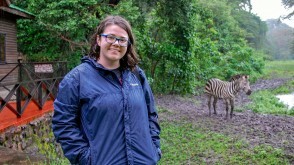 Valentina Marginean ’16, a triple major in pre-medicine, sociology/anthropology, and pre-professional zoology, traveled to Haiti for her Theory-to-Practice grant titled, "An Analysis into the Effects of Structural Violence in Haitian Public Healthcare." In recent Travel-Learning Courses have studied biology and zoology in Brazil, Costa Rica, East Africa, the Galapagos Islands and Ecuador, and North Carolina. 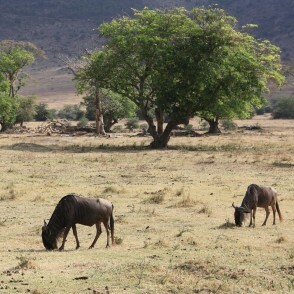 In this Travel-Learning Course, students learn about the animals of East Africa and then view them in their natural habitat in Tanzania and the Serengeti. At OWU, you connect the classroom and the real world. 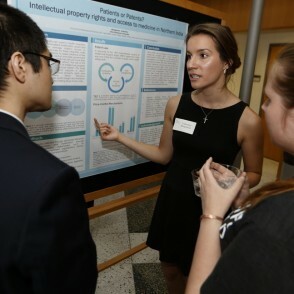 OWU's pre-med students have participated in research internships at medical centers such as the Mayo Clinic and Nationwide Children's Hospital and at research universities. 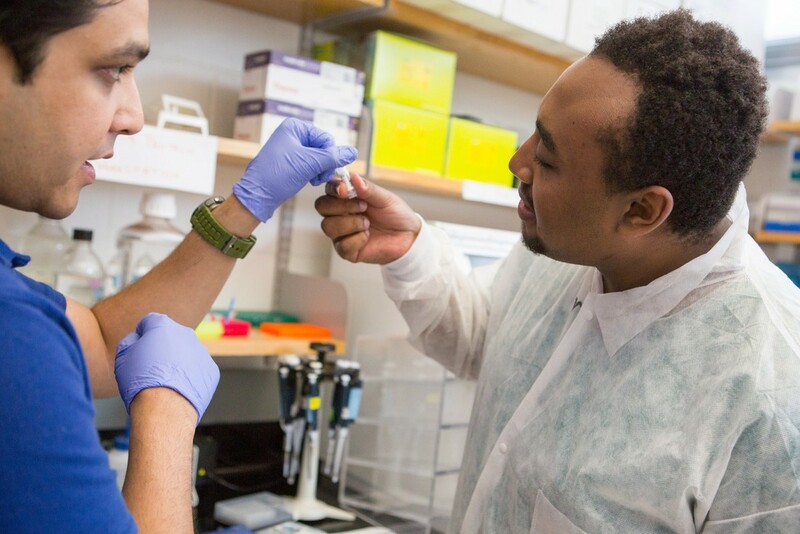 A Theory-to-Practice Grant could fund your research internship. 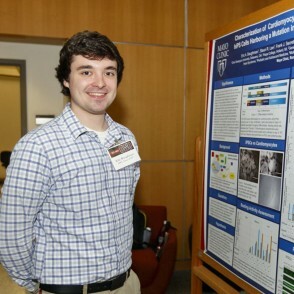 During a summer internship at the Mayo Clinic, Eric Baughman '17 participated in a research laboratory examining congenital heart diseases using stem cells. 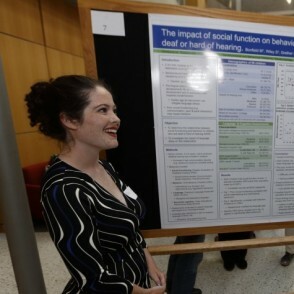 Through a research fellowship at Cincinnati Children's Hospital, Madeline Bonfield ’18 analyzed behaviors in children who are deaf and hard of hearing, examining the correlation between the presence of a language gap and lower social function and negative behaviors. 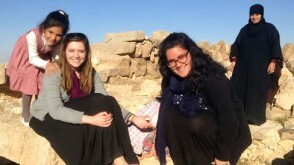 She worked with Prof. Shala Hankison. The Pre-Health Club helps undergraduates understand and overcome the challenges of entering medical school by providing support and insight. Club members also help educate the public about illnesses, preventative measure to take to remain healthy, and how to perform self-exams. The chief pre-health advisor can help you be informed about the application process for medical and dental schools. You should get to know him early in your time at OWU and heed his guidance. He is also the person who prepares the composite letters of evaluation that are favored by medical and dental schools. 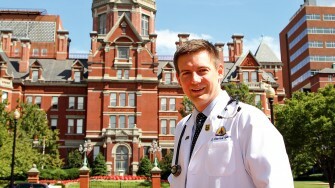 A Rhodes Scholar semifinalist, David graduated from Johns Hopkins School of Medicine and has stayed in Baltimore for his residency in Emergency Medicine. 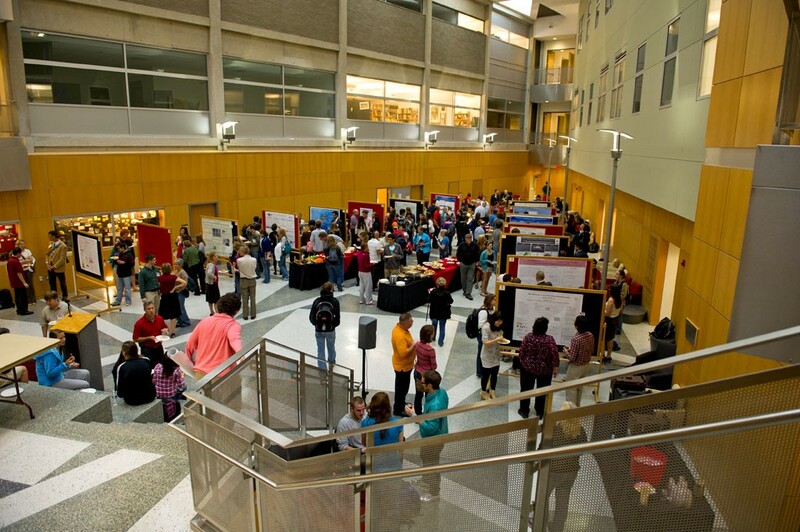 During the past 10 years, 85% of OWU graduates who've applied to medical school have been accepted. That is more than double the national average of 40% (reported by the Association of American Medical Colleges). In the past five years, Ohio Wesleyan graduates have been accepted to 40 medical schools across the country, including Brown, Columbia, Ohio State University, University of Chicago, University of Michigan, and Yale. In the past five years, Ohio Wesleyan graduates have been accepted to a variety of dental schools across the country, including Case Western Reserve, Ohio State, New York University, and University of Maryland. 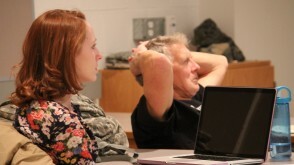 In the Summer Science Research Program, students work with faculty in paid research positions. 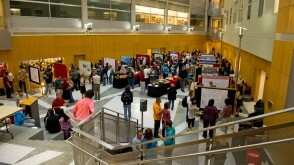 Students present their work every fall semester. 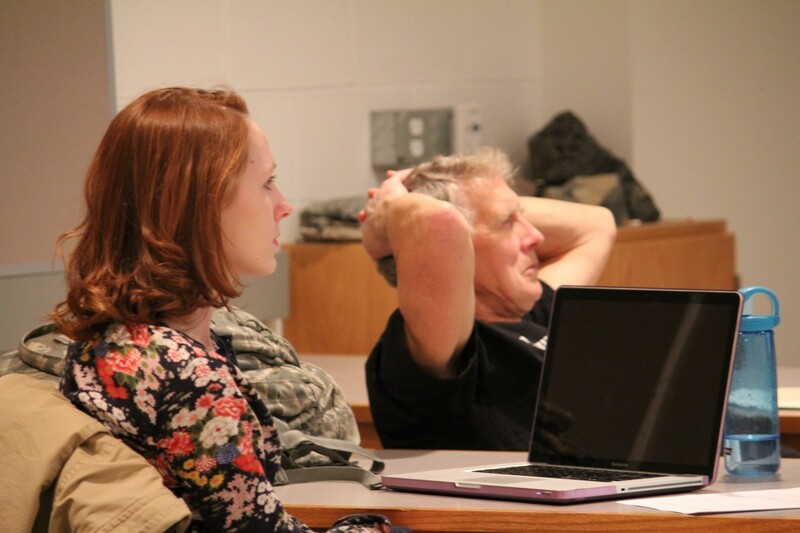 Prof. Gatz (the program director) watches a student present during class. 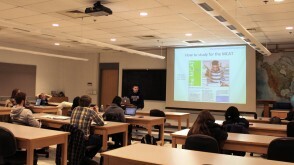 Students receive special training to prepare for the Medical College Admission Test. During an internship at Nationwide Children's Hospital, Samuel Stull '17 did a research project on Hepatitis C and the opioid epidemic. 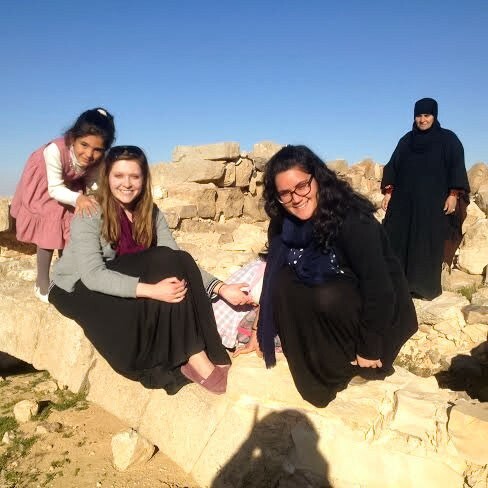 Pre-Medicine & International Studies major Brenda Gable ’15 (second from left) studied abroad in Jordan, where she focused on health and community development.